Get your kicks from QIX, the original brain-twisting arcade hit now available for your NES! 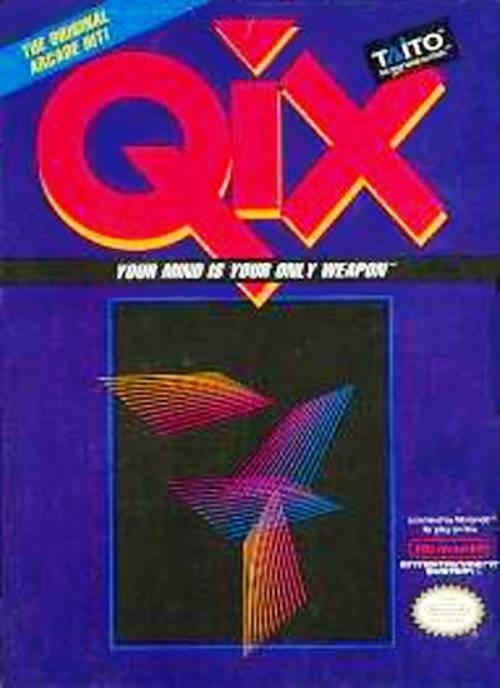 QIX is one of the quirkiest adversaries you'll ever encounter. It thrives on finding new and outrageous ways to perplex, vex and manipulate your mind. QIX appears as a whirling multi-colored helix that lives in the depths of your system - relentlessly seeking to wear down your mental defenses. The only way to neutralize QIX is by containing it. But you'll have to think fast, and act even faster. 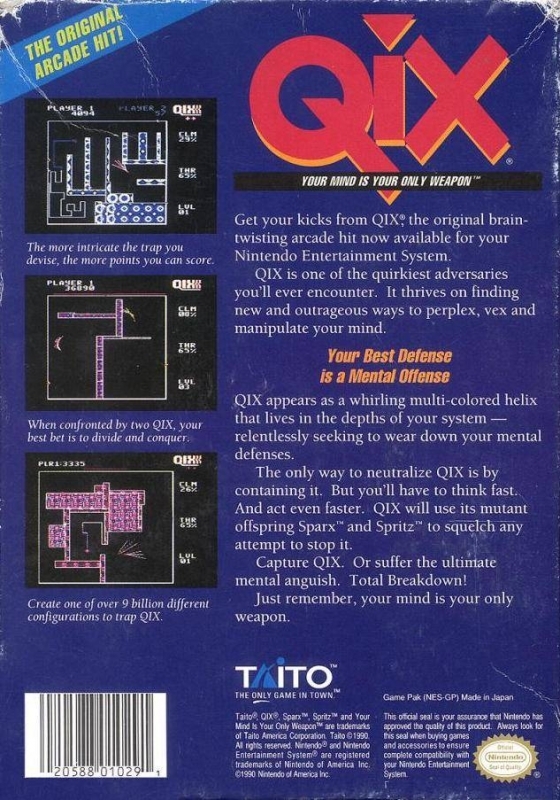 QIX will use its mutant offspring Sparx and Spritz to squelch any attempt to stop it. Capture QIX, or suffer the ultimate mental anguish. Total breakdown! Just remember, your mind is your only weapon.